AromaMusk's 100% pure sweet Almond oil is extracted from the best quality Almonds. There are countless ways you can incorporate Almond oil into your life. 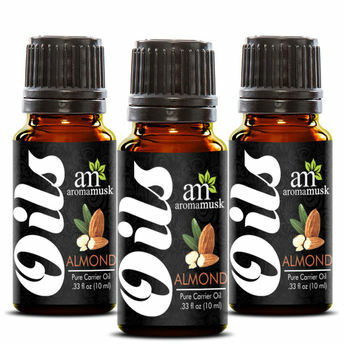 AromaMusk's Sweet Almond oil can be massaged on your skin as an aromatherapy massage oil. It can also be massaged to your hand or foot. Almond oil is nourishing for both hair and skin.